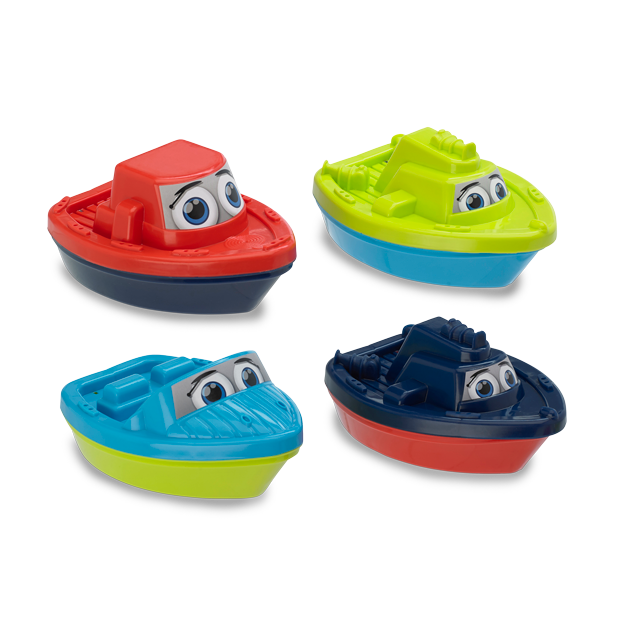 CHARACTER BOAT ASSORTMENT | American Plastic Toys Inc. Put a little imagination into bath time with this assortment of character boats, including a tug boat, a fishing boat, and a speedboat. They feature characterized labels and come in a colorful display box.